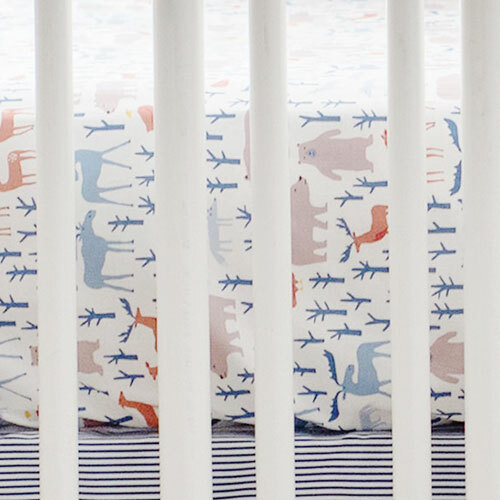 This white and navy tailored crib skirt gives our Woodsy Forest & Blue Moon crib collections a playful look. 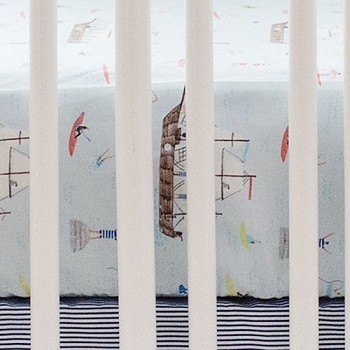 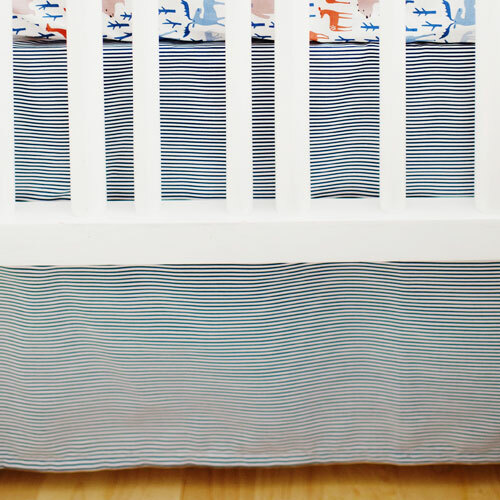 Our striped crib skirt is versatile enough to easily pair with a variety of crib sheets. 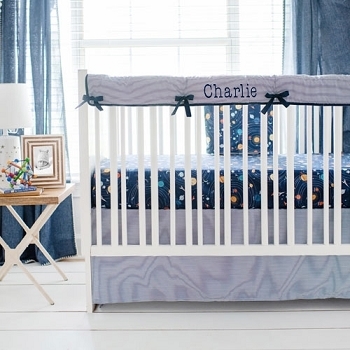 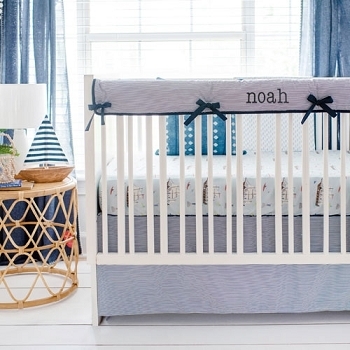 Coordinate with our Blue Moon Crib Set and Ahoy Matey Crib Collection.